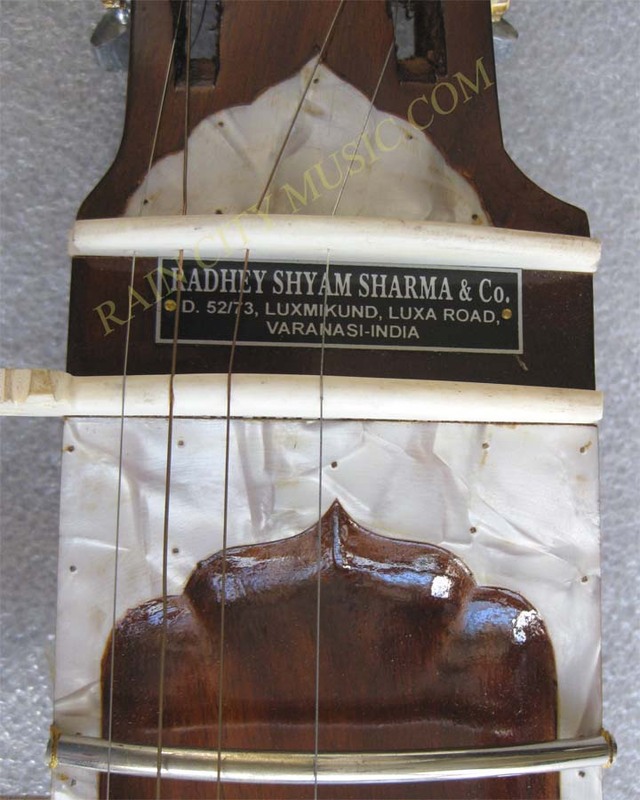 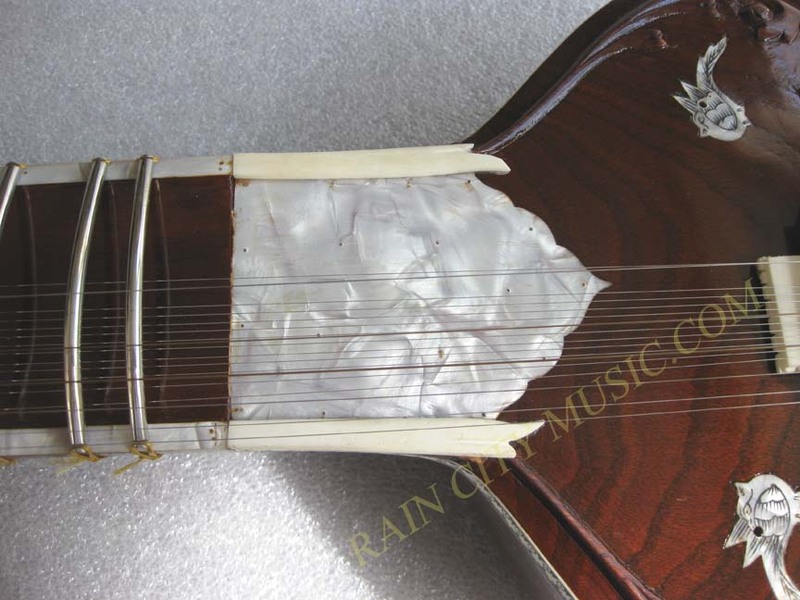 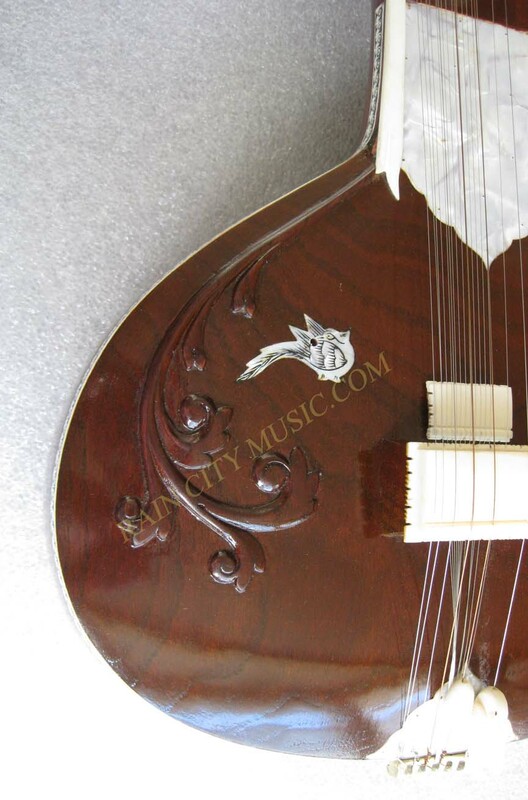 Radhey Shyam Sharma studio sitar. 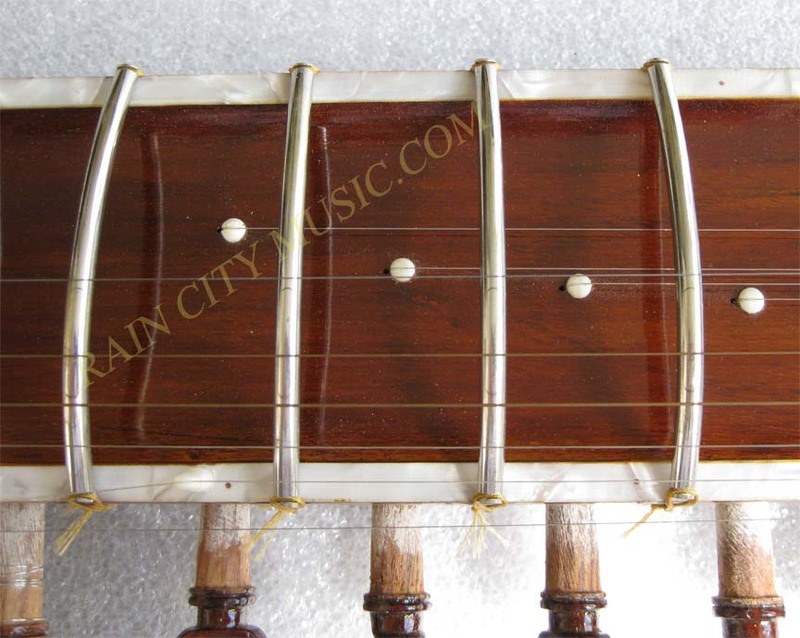 6 main strings ~ 12 sympathetics ~ Pancham/Pancham style. 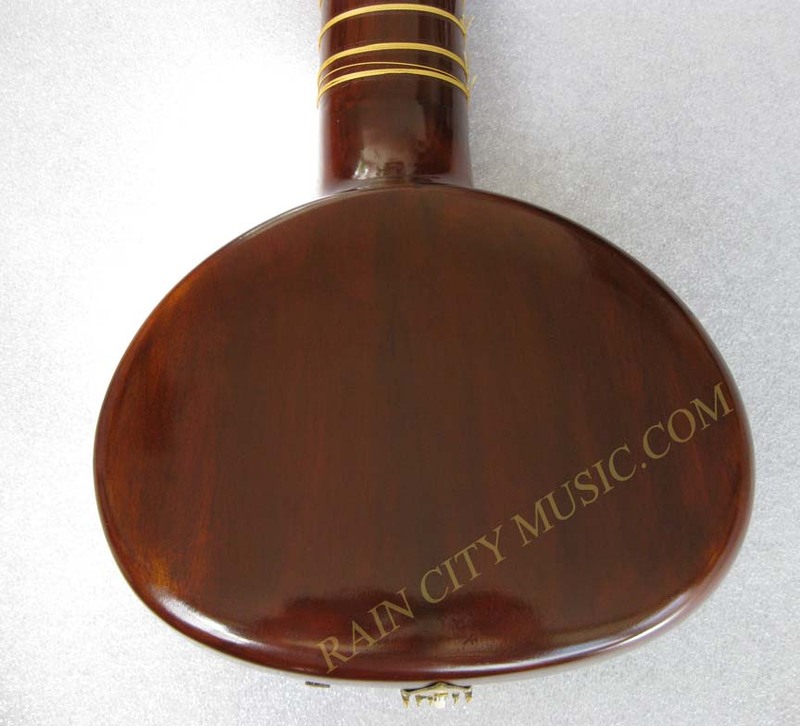 Mahogany wood and solid wood tumba, has a nice tone and very portable. 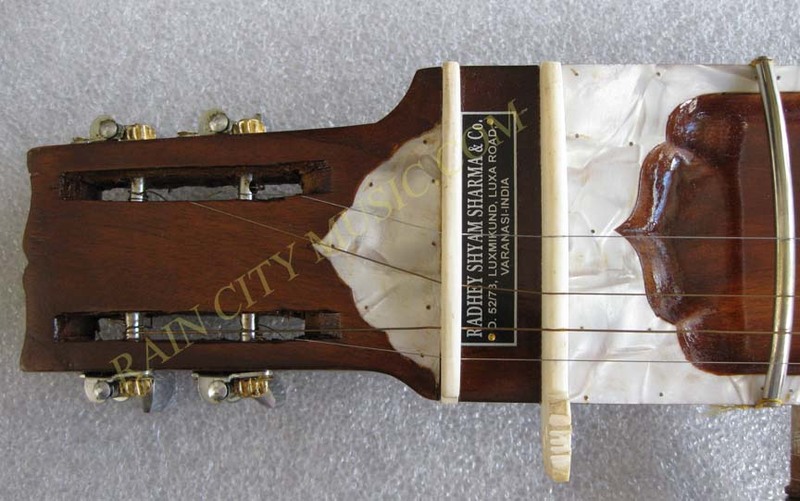 We have installed a permanent PUTW ceramic transducer under the bridge. 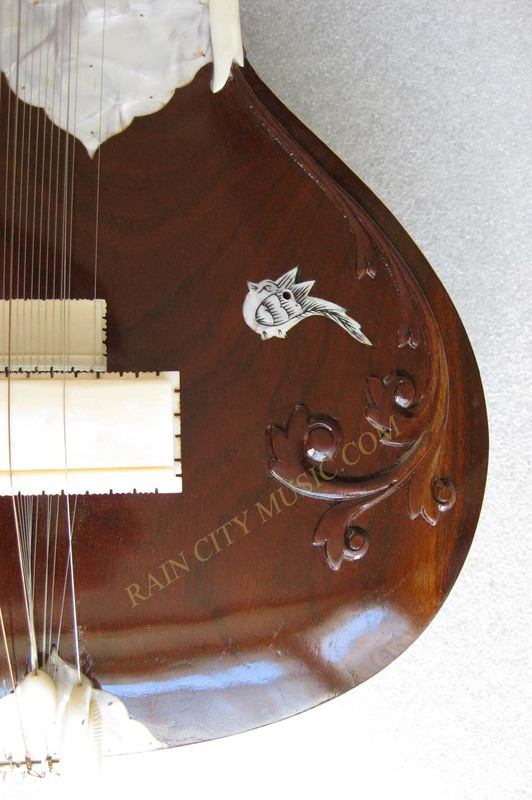 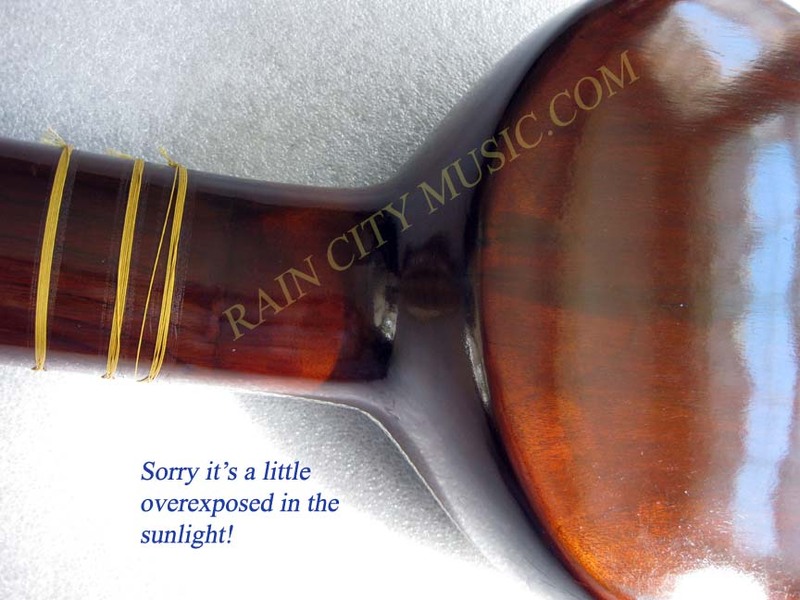 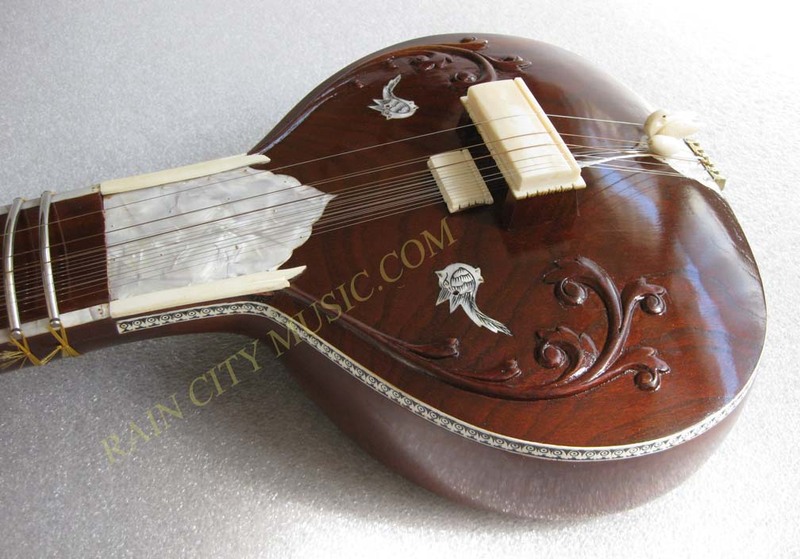 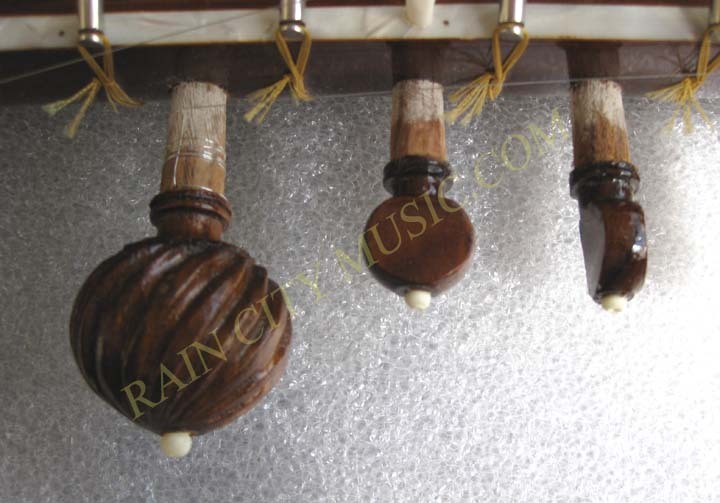 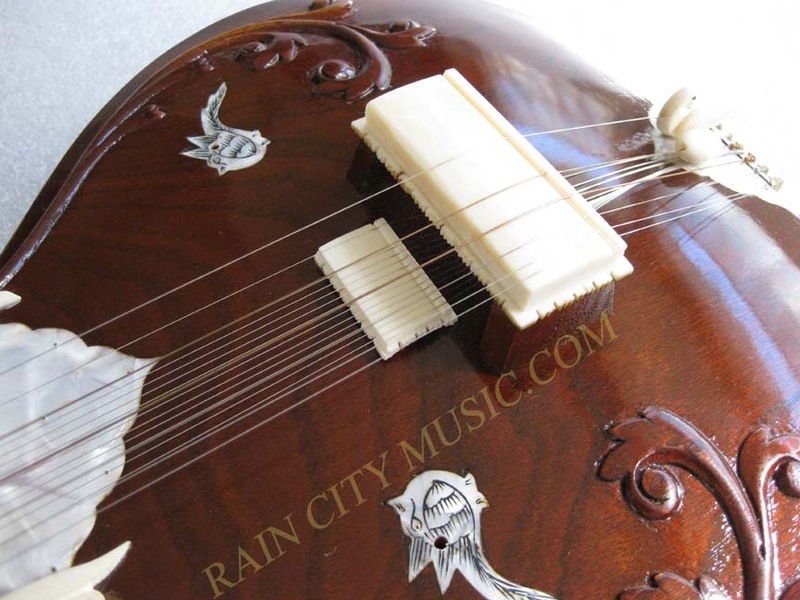 It has a 12.5 inch wide tabli with a Hiren Roy style headstock with simple carving and faux mother of pearl inlay.. Set up with a bass pancham string only, a common tuning in Varanasi with nice quality geared tuning pegs for the main strings and hardwood sympathetics. 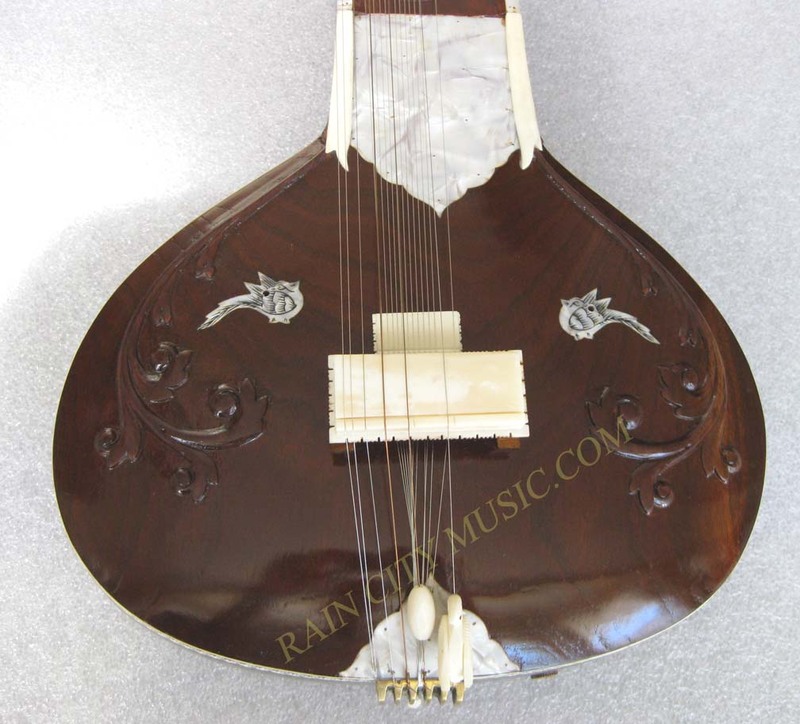 If you want a conversion to gandhar pancham then can be done at no extra cost. 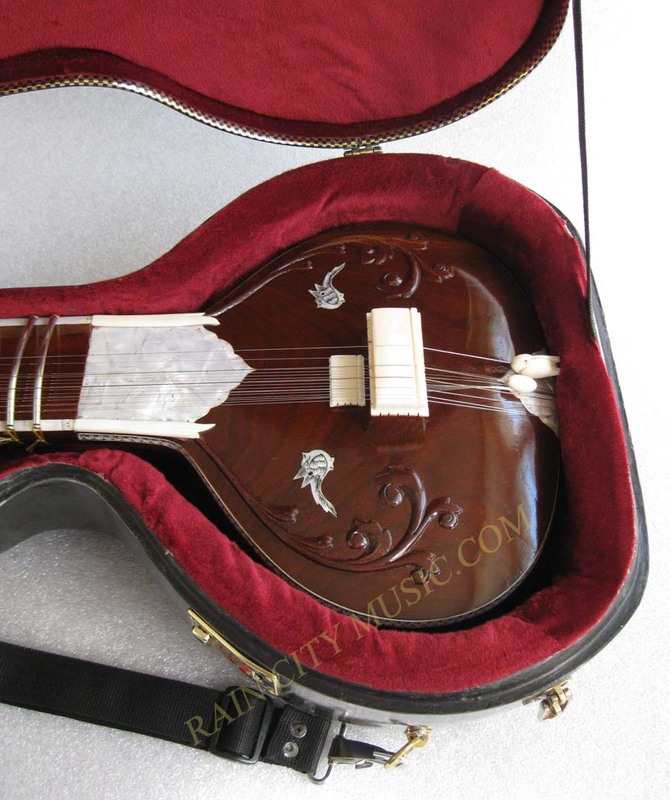 Comes with a well padded fiberglass flight case. 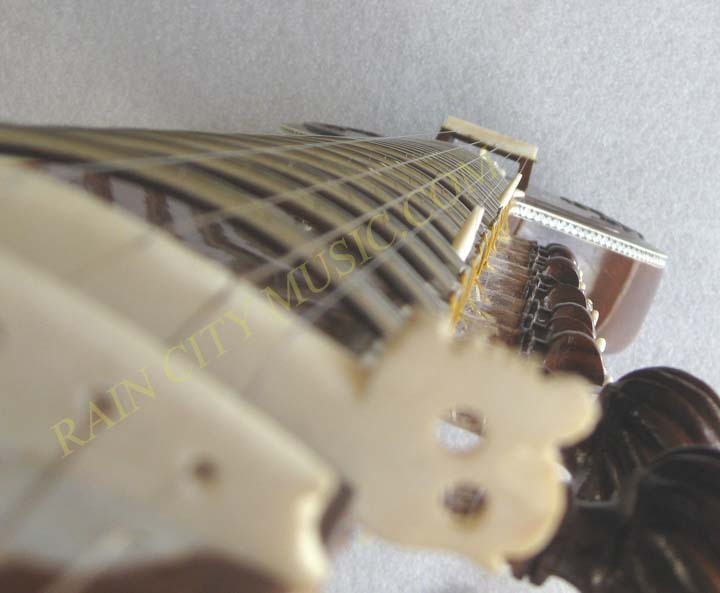 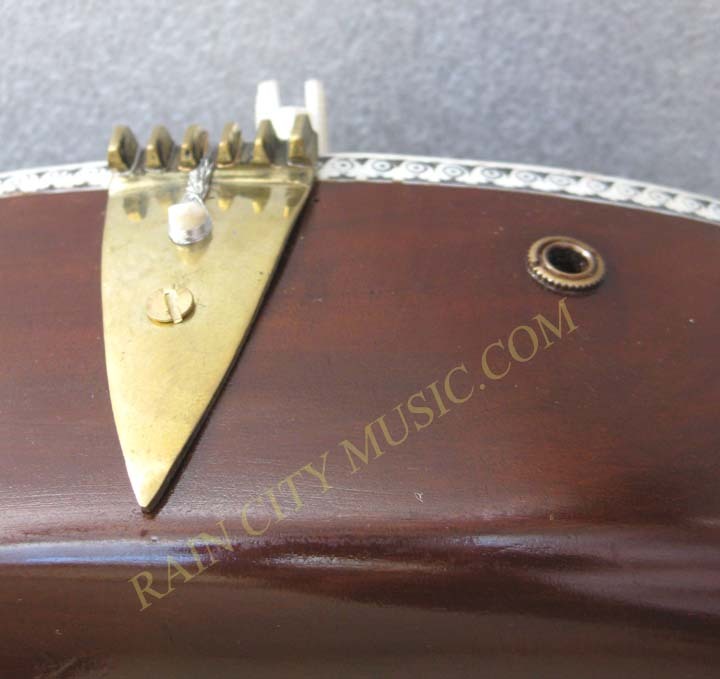 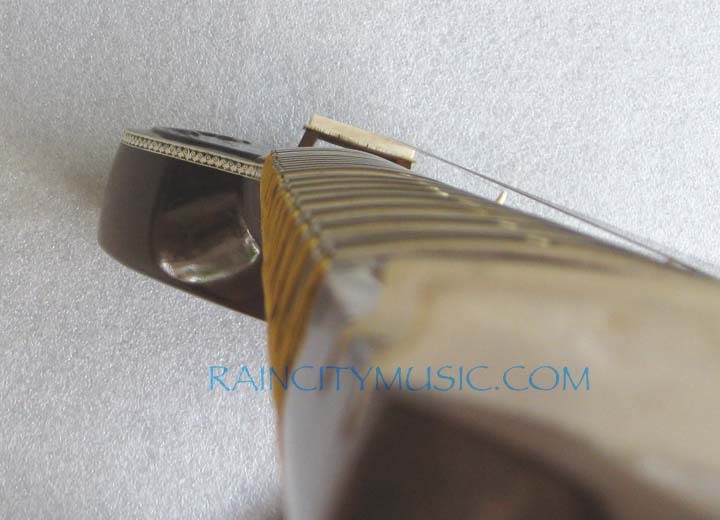 Composite bone bridges with a half open jawari and responsive sympathetics.....Sounds great acoustically or electric This sitar was personally selected by us in Varanasi, fitted to our specs and air shipped to our shop.